Is your company growing and needs more sophisticated network equipment? 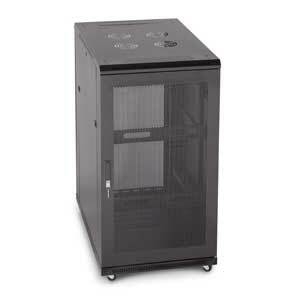 Then your going to need a server rack enclosure that will securely hold your routers, switches, firewalls, and any other network devices your business may need to function to its full potential. 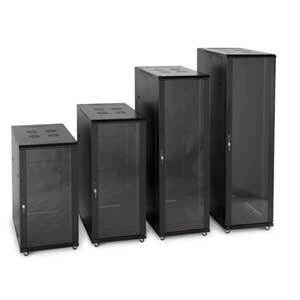 The 3100 Series Linier Brand Server Rack Cabinets made by Kendall Howard are the perfect network equipment racks that allow you to securely attach multiple network hardware devices and safely running cat5, cat6, or fiber optic cables without drilling holes while maintaining every single network component properly cooled thanks to the sophisticated design that grants proper airflow and ultimate ventilation. 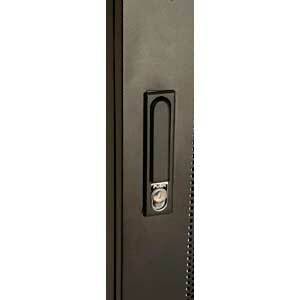 Arranging your hardware devices inside this Kendall Howard 3100 Series Linier Brand Server Rack Cabinet is simple as the vertical rails are adjustable in 1 inch increments allowing appropriate airflow. Maintaining and troubleshooting your network devices has never been simpler as this highly sophisticated Server Rack Cabinet has 2 removable side panels that allow easy access to your equipment. 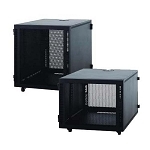 These rack mount enclosures have cut-outs on top that allow up to four inch fans to be installed to keep your network apparatus properly cooled for optimal performance. 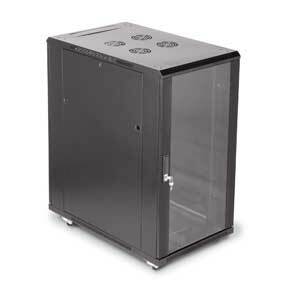 The locking tempered glass front door in this Server Enclosure Cabinet protects your network equipment for being tampered with while also permitting network performance stats. The back door also locks to prevent intrusion while unwanted heat can exhale. 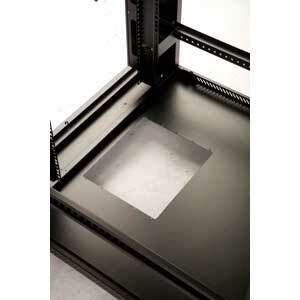 These server racks comes in a black powder coat finish and comes with a 1 year warranty. ATTN: Due to the weight of these cabinets, a freight shipment must be used. Please call 866-673-9590 for shipping costs.